In this inaugural blog post we’ll demonstrate how to connect Erlang and SAP HANA One via odbc. 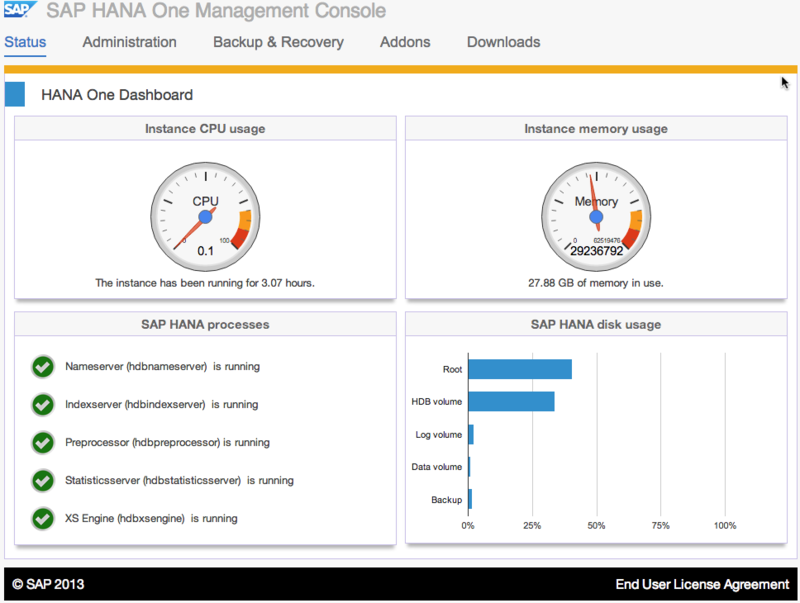 You have successfully deployed an EC2 instance with SAP HANA One. I am using an Ubuntu EC2 instance with Erlang installed via the prebuilt binaries from Erlang Solutions. Install two dependent packages libaio and unixodbc. 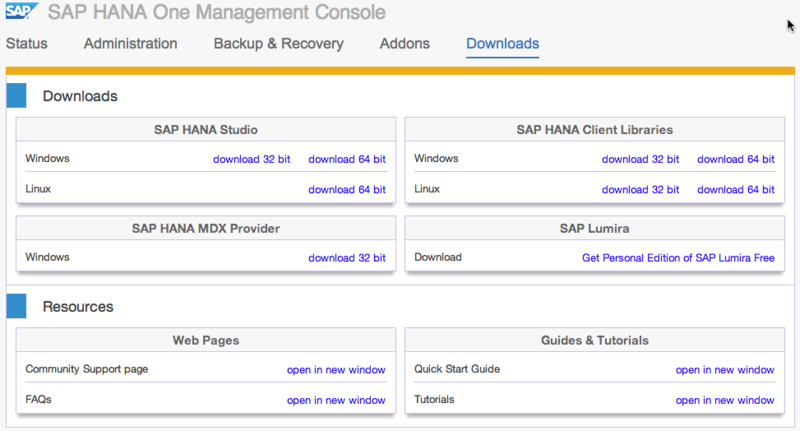 Copy the download URL for your platform from the SAP HANA One Downloads section. SAP HANA Database Client installation kit detected. Log file written to '/var/tmp/hdb_client_2013-09-13_06.14.39/hdbinst_client.log'. hdbuserstore is part of the client libraries and can be used to store information about the host:port, user and password with a given KEY. Before configuring odbc, let’s test the connection with the SAP HANA Database interactive terminal hdbsql. Use command \s to check the status. Welcome to the SAP HANA Database interactive terminal. In a second test we can verify that odbc connectivity can also be established using odbcreg. Here, we refer to the KEY set using hdbuserstore above via the @ notation. Driver version SAP HDB 1.00 (2013-08-01). To enable other applications to use the odbc connection we edit /etc/odbcinst.ini to register the HANA odbc driver. We now maintain a DSN in /etc/odbc.ini and again refer to the KEY set in hdbuserstore as well as the driver name registered above. Using an Erlang shell we can finally ask SAP HANA some serious questions. 3> hana_marries_erlang:command(C, "select 'Will you marry me?' from dummy").